If the Yankees are going to start making moves in the division, they’re going to have to start beating up on bad teams. 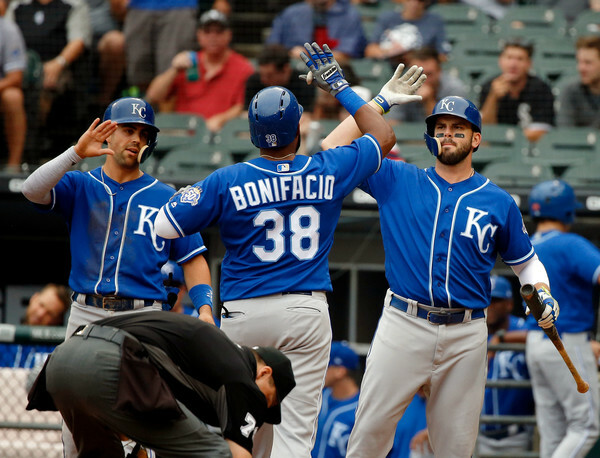 They’re 8-8 against the Orioles, Royals, and Rangers – the three worst teams in the American League – heading into this series, which isn’t going to cut it. But with ten of their next seventeen games coming against those teams, they have an opportunity to make up for lost ground. The Royals are up first. Sonny Gray had one of the best starts of his Yankees career in the third game, tossing 8 innings and allowing just four hits, one run, and one walk, while striking out 5. He threw first pitch strikes to 22 of 29 batters faced, and kept the ball on the ground, posting a 57.1% groundball rate. The Yankees hit nine home runs in the series – Hicks, Gleyber Torres, Gary Sanchez (twice), Giancarlo Stanton, Tyler Austin (twice), Miguel Andujar, and Austin Romine all went deep. And, this, in one of the least homer-friendly parks in baseball. The Royals have three starting pitchers (Jesse Hahn, Ian Kennedy, and Eric Skoglund), a reliever (Blaine Boyer), a utility infielder (Cheslor Cuthbert), and their best hitter (Jorge Soler) on the disabled list. None are expected back in time for this series. Kansas City is 31-70 with a -192 run differential; for those of you keeping score at home, that’s the second-worst record in baseball (only Baltimore is worse) and the worst run differential by a comfortable margin. They’ve scored the fewest runs in baseball and allowed the most, and that’s not a great recipe for success. They’re bad in just about every way that a team can be bad. Adalberto Mondesi might get a start or two at either second or short, and Hunter Dozier should see time at first and/or third (most likely starting against Sabathia in place of Duda or Moustakas). 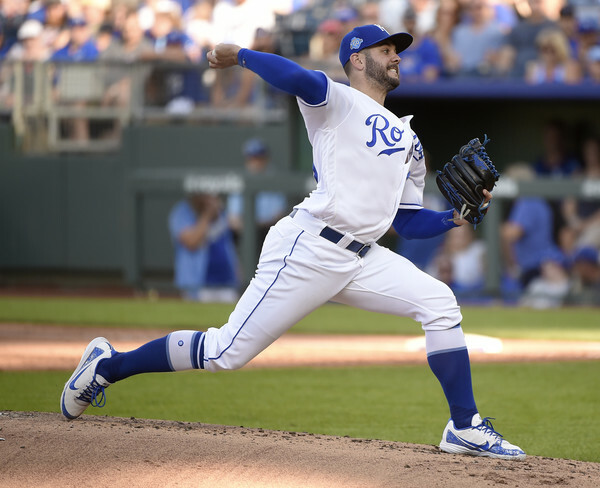 Junis started against the Yankees back on May 18, and was effective in the Royals victory. He tossed 5.1 IP, allowing 7 hits (all singles), 2 runs, and a walk, and struck out 3. Junis looked quite good overall through the beginning of June, posting a 3.62 ERA in his first 12 starts, with good strikeout (8.6 K/9) and walk (2.2 BB/9) rates. The wheels have fell off a bit since then, however, and he has an 8.42 ERA (8.00 FIP) in his last six starts. Keller was a Rule 5 pick by the Royals over the off-season, after spending the first five seasons of his professional career in Arizona. He made the jump from Double-A to the majors this year, pitching out of the bullpen until late May. He transitioned to the rotation due to injuries to several starters, and has made nine starts so far. He has a 3.75 ERA and 3.57 FIP in those starts, which is good, as is his 54.8% groundball rate; his strikeout (5.8 K/9) and walk (4.1 BB/9) rates leave a great deal to be desired, though. Keller – who will be celebrating his 23rd birthday on Friday – throws four pitches: a mid-90s four-seamer, a low-90s sinker, a high-80s change-up, and a mid-80s slider. The 24-year-old Fillmyer has served as the team’s long-reliever/swingman since making his big-league debut a month ago, and sports a shiny 2.82 ERA (153 ERA+) in 22.1 IP. And, like Keller, he has done so with lots of grounders (59.7%), and subpar strikeout (5.2 per 9) and walk (4.0 per nine) rates. Fillmyer is primarily a three-pitch guy, with a low-90s four-seamer, a mid-80s change-up, and a mid-80s slider. He’ll also mix-in a sinker and a curve, but we’re talking one or two per game. Smith, much like Keller, opened the season in the bullpen, and transitioned to the rotation; he was also a Rule 5 pick, out of the Rays organization. He has only made three starts, though, and was barely stretched out for the first two. It’s been a long journey to the majors for Smith, who missed all of 2015 and 2016 as a result of Tommy John surgery. Smith is a three-pitch pitcher, featuring a low-to-mid 90s fastball, a low-80s change-up, and a big-time curveball in the high-70s. His curve is a true swing-and-miss offering. And that’s with the stellar numbers of the since-traded Kelvin Herrera (1.05 ERA, 7.7 K/9, 0.7 BB/9) factored in. This is the worst bullpen in the majors, and it’s not particularly close. Kansas City is the unfortunately confluence of bad and boring, with little in the way of standout players on either side of the ball. Merrifield is an exciting player, and Smith’s curveball is a thing of beauty. Otherwise, the story of this series will be dependent upon whether the Yankees can beat up on a bad team. That, and the strong likelihood that Zach Britton will make his Yankees debut.